Indie Retro News: Citrouille - A new retro style game coming soon to Steam and itch.io! Citrouille - A new retro style game coming soon to Steam and itch.io! 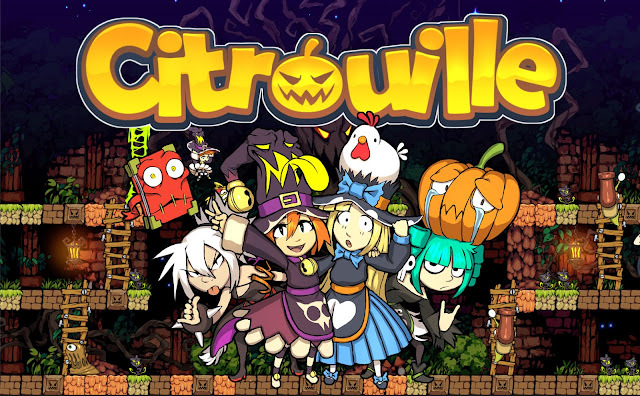 If you are a fan of classic one-screen platform arcade games like Bubble Bobble or Lode Runner then you you should take a look at the upcoming game Citrouille! The basis of the game is to plant flowers of each of the grassy platforms by running over them, when all platforms has flowers you instantly clear the level. But the tricky part is that you cant jump and your weapon can only stun the enemies for a couple of seconds. If you have played Lode Runner you know that some situations can get really stressful and this is exactly how Citrouille works! Luckily these witches has some powers that can help you out in tricky situations. You can always create a ladder that you can use to ascend or descend one level, and there are special power ups to collect during the levels. 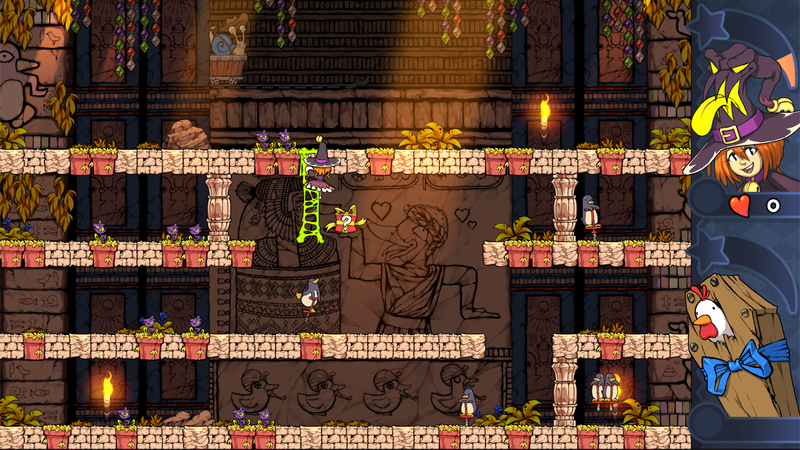 And the best part is that Citrouille has support for up to 4 players and Coop mode! If you are 1 or 2 players you can play the game in coop mode and try to beat the story mode that features 5+ unique worlds and over 50 levels. And in a 3 - 4 player game there is a versus mode where you can compete with each other either trying to plant as many flowers as you can before the time runs out or battle in a last man standing deathmatch mode. Citrouille is developed by the french studio Lumen Section and it no doubt that this game has its roots from various classic retro games. Im personally a big fan of one-screen arcade game like Bubble Bobble or Nightmare in the Dark so I was really happy to see what Lumen Section had created with Citrouille. I especially liked that instead of jumping your only option is to build a ladder, this might at times work great but other times these ladders can create very stressful situations as the enemies can use the ladders too. You have to be quick and plan ahead and always have you eye on all the different enemies that all have their own behaviors. The game also features gorgeous graphics and really smooth animations combined with a terrific soundtrack! Citrouille is going to be available 29 October on Steam and itch.io.